DIGIDICED Releases Stockpile on Mobile Today! Stockpile, by Brett Sobol & Seth Van Orden, is a 2-5 player game about insider trading on the stock market. You’ll need to strategically manage your investments to earn the most money and win the game. 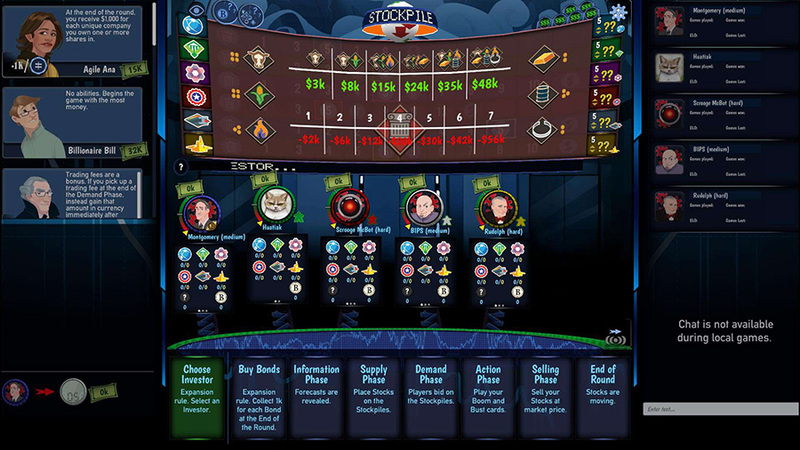 The digital version of Stockpile lets you play against your friends in local multiplayer and online mode or solo against AI opponents using the newest rules of the board game. New players are welcomed into the game with an interactive tutorial and can learn from the best players by watching their games in the app or analyze games with the playback feature.